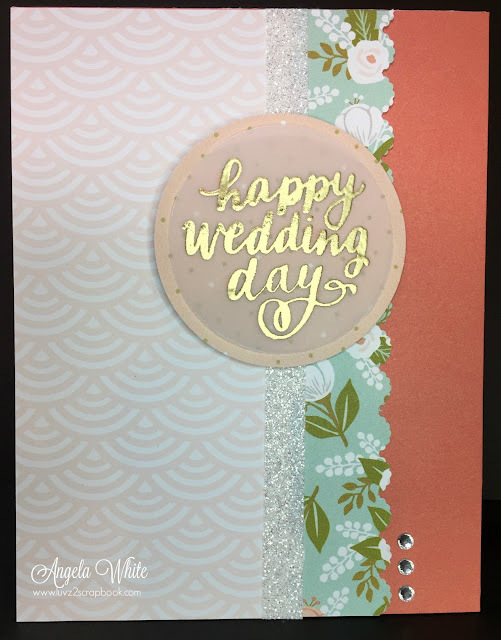 Today's card project is a Happy Wedding Day Card again featuring the Hello Lovely Paper Packet from Close To My Heart. I'm obsessed with this paper packet, can you tell? Weddings are big in next few months so I thought a Hello Lovely Wedding Card would be a great card to create. I used gold embossing powder over vellum and heat set it to create the 3 dimensional sentiment. I think it adds a bit of elegance to this card. I hope you like this project as much as I did creating it. If you have any questions about the products used in the project, feel free to e-mail me at luvz2scrapbook@gmail.com. Such a pretty wedding card, I love it! I love the colours in this paper pack, they are perfect for the upcoming spring weddings! Thanks for playing along with Between the Folds (BTF)! Thanks for joining us at the Color My Heart Color Dare. Your card is very pretty. 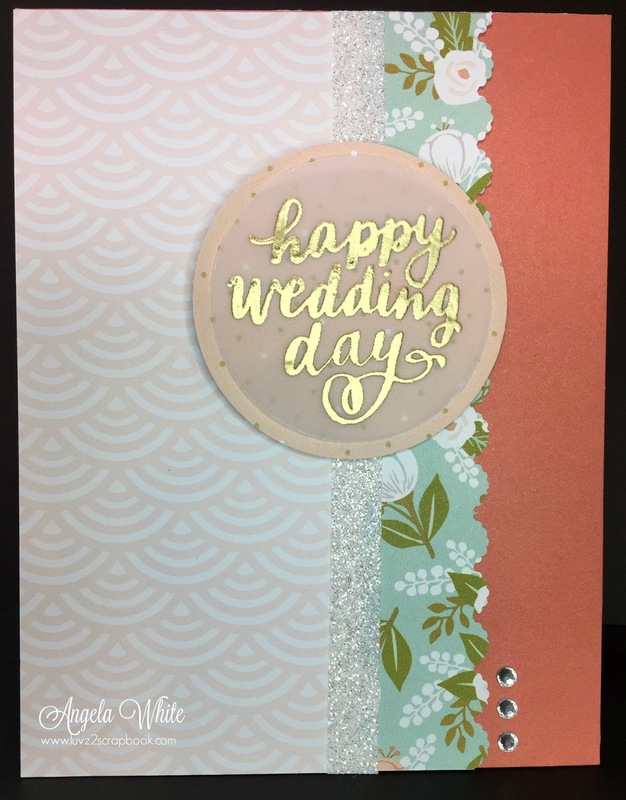 Hello Lovely is perfect for Wedding/Anniversary cards, and love the embossed sentiment and border cut...very pretty card. Thanks for sharing with us at Color Dare this week, and please join us again for Friday's new challenge. So pretty! I love the gold embossed sentiment. Thank you for joining us this week at Color My Heart. What a beautiful card! I love the gold embossing. Thank you for inspiring us at Between The Folds Bi-Weekly Challenge Blog. Truly lovely card! I especially like the sentiment embossed on vellum layered on the dotted Sorbet paper. Thanks for sharing with us this week at Between The Folds.